When you connect to EZYcount, you don’t remember your password. No worries, you can recollect it. Input the email address used as login. EZYcount confirm that it has sent you an email to change your password. Select the link in email. Input your new password and confirm it by writing it a second time. You receive a confirmation email. 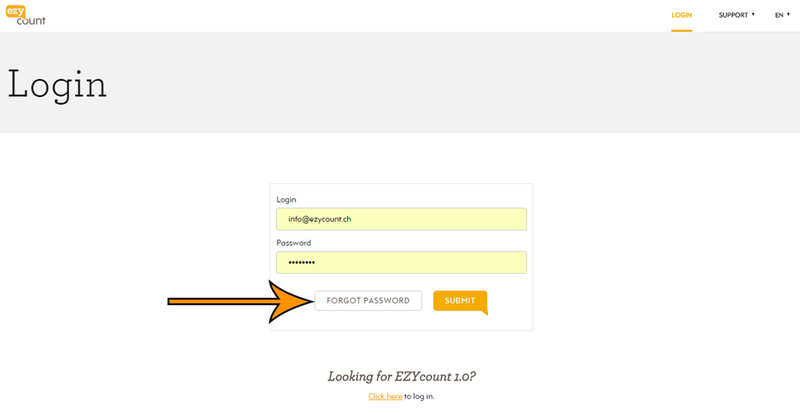 Now you can use your new password to connect on EZYcount. We are available to answer all your questions per email under support@ezycount.ch.. We answer within 48 hours.